This course is a competency based training program that allows students to complete both the formal and informal requirements of the licence all at Industry Training Qld’s training facility or your workplace by prior arrangement. Students are required to be trained to a level suitable to achieve all elements necessary to satisfy the mandatory Workplace Health & Safety Qld assessment. The course fees include Training, Learner’s Guide, Log Book which incorporates the Training Plan, Written and Practical Assessments, and paperwork needed to obtain your Workplace Health and Safety High Risk Licence. 2 Days formal and informal training at ITQ or workplace, learner to complete written test only. Work place log book 27 nominal hours WHSQ 2/3 minimum requirement 40 nominal hours maximum. Courses are available Monday to Friday on days to suit you and commence every week. Times are from 8.00am to approximately 4.30pm each day. 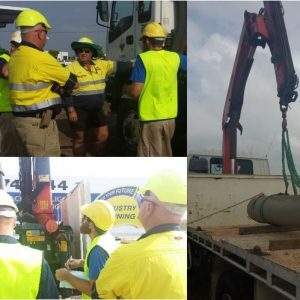 Once you have been deemed competent, you must take the paperwork we issue, with 100 points of identification, a passport type photo and $74.00 to a Qld office of Australia Post who will process the application on behalf of Workplace Health and Safety Qld who then post you your plastic licence card. Prior to any practical operation of a machine the student MUST have completed a Formal Training course for the chosen machine. This course is designed for those students who wish to complete the mandatory informal training on the job or at their current employment utilising a training log book. Employers must agree to this and have a ticketed “immediate supervisor” to supervise the training and fill in all relevant areas of student’s training record book (logbook). Students are required to complete a formal training course that covers the ‘classroom’ training that covers WH&S Qld legislative requirements, relevant video presentations and verbal/practical demonstration and instruction of all the elements from the mandated WH&S Qld assessment. This can also include the written exam if desired. Learner’s Guides are available for purchase through our office, we suggest you obtain yours as early as possible to allow you to be familiar with the information prior to your course commencing. 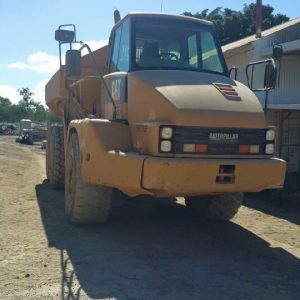 The student must be an experienced and competent operator after having completed workplace supervised training. After completion of formal training, students at their workplace must log hours and tasks performed at work and this must all be signed off by their ‘immediate supervisor’ who holds the relevant Workplace Health and Safety Qld licence. Once the supervisor has determined the skill and knowledge level of the student is at a competent level, a final assessment can be conducted by an accredited trainer/assessor. The assessment consists of a closed book theory component (which can have been completed at formal training) as well as a comprehensive practical challenge test. RECOGNITION OF PRIOR LEARNING (RPL): Workplace Health and Safety Qld does not allow full RPL of High Risk licences, all students MUST complete the theory and practical components of the assessment process. However if you can provide suitable documented evidence of prior use of the machinery involved, you may be able to use that evidence to modify the training needed to achieve competency. Licences from overseas jurisdictions are not recognised for full RPL, the assessment process must still occur. Please discuss your individual circumstances with our training co-ordinator.